We asked our readers to name the subscription boxes with the best loyalty programs and perks of 2019, and these are the results! Check out all of the awesome results here, or read on to see which subscriptions our community says have the best member benefits. 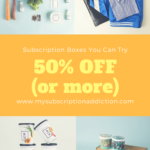 Subscription boxes are known for delivering great value to their members, and that value only gets better when the box has loyalty, refer-a-friend, and other benefit programs in place! See how you can save on top-notch beauty, home, style, and wellness products with these reader favorites. Want more? Check out our full list of great monthly subscription boxes here! 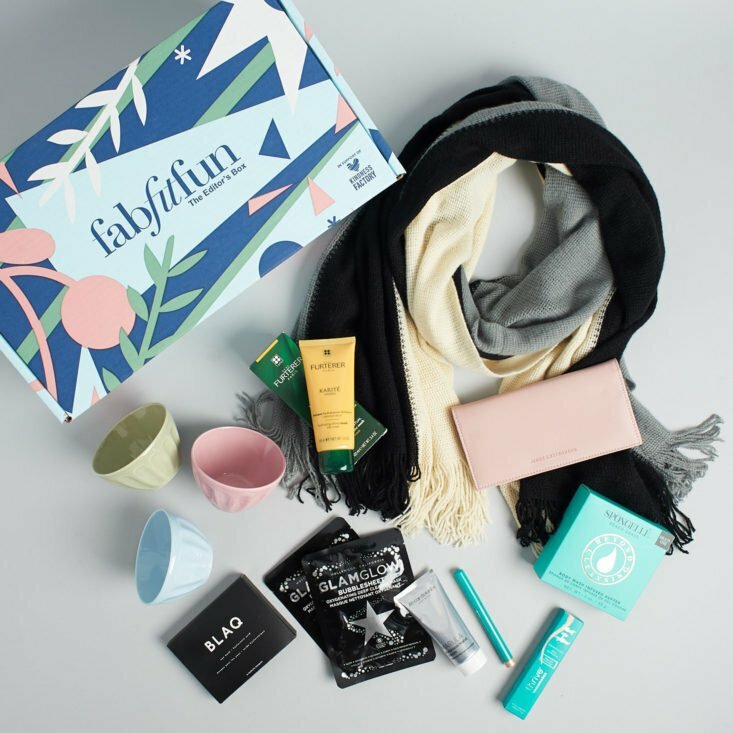 About the Perks: Every FabFitFun box comes packed with an awesome assortment of full-size beauty and body care products, accessories, and other trend-savvy gifts. But as a member, you also get exclusive discounts on top brands, including brands featured in current and past boxes, plus other products they’re loving! About the Perks: Ipsy is one of our readers’ favorite monthly beauty subscription boxes, not just because of their assortment of amazing samples, but because of Ipsy’s point system. Members can earn points through Ipsy’s referral program, following Ipsy’s creators on social media, and reviewing what you got. Use your points to nab unique beauty products and tools from beloved and up-and-coming brands. You can also shop Ipsy Offers—exciting deals on top cosmetics, skincare products, and accessories. About the Perks: Birchbox is one of the first beauty subscription boxes that we and our readers fell in love with. In addition to sending you a monthly selection of personalized or Birchbox-curated surprises in handy sample sizes, Birchbox offers a loyalty program that rewards you for shopping, gifting, and reviewing their products. While you can’t put your points towards your re-billable subscription, you can use them to nab top-rated brand-name items in the Birchbox shop. About the Perks: BoxyCharm’s mix of full, sample, and deluxe-size beauty goodies make it easy to stay on top of the hottest makeup and skincare trends. And with every review you give or friend you refer using your special BoxyCharm code, you’ll earn Charms points to put towards an ever-rotating collection of top brand products! About the Perks: Love earning VIB points at Sephora? Every Play! by Sephora box includes a pass that you can redeem in-store or online for 50 bonus points, plus tips, tricks, and, oh yeah, a personalized collection of sample-sized beauty goodies from the hottest brands! It’s an effortless way to score points and learn about the new products your skin, hair, and makeup kit can’t live without. “They take care of their customers and offer good sales.” – Jeanette H.
About the Perks: This box has a great refer-a-friend program that lets you earn $20 in credit while giving your loved ones $20 off of their new subscriptions! You can use your credit on Must Have add-ons, or apply it to your next POPSUGAR Must Have Box charge. 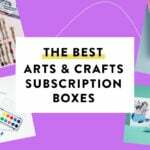 POPSUGAR boxes connect you with over $250 of the hottest beauty, wellness, style, and home products of the season, curated by the trend-savvy editors at POPSUGAR.com. Take advantage of the referral program and get even more amazing value! The Cost: $21 per quarter. Subscribe here! COUPON: Use coupon code HEART to save 20% off any length subscription! About the Perks: This beauty box gives members GLOSSYCredits for easy actions like reviewing products, referring friends, and even just completing your beauty profile. GLOSSYCredits can be used on lookfantastic or GLOSSYBOX, so you can try premium beauty products from top brands for even less! Check out our GLOSSYBOX reviews or read this GLOSSYBOX info to subscribe. Ships to US and Canada. About the Perks: BeautyFIX is the official subscription box of Dermstore.com, the online skincare aficionados. Sign up for the Dermstore Rewards program, and you’ll earn credit to use on future purchases, plus access to special deals. All you have to do is share your purchases or product reviews on social to start collecting credits. As if the skin-nourishing samples and deluxe-sized beauty must-haves in each monthly box weren’t enough, you can use your Dermstore Rewards to re-up on the new products you’ve discovered and loved! The Cost: Make a purchase or choose to skip the month (and not be charged) at the beginning of the month, or have $49.95 saved as store credit to your account. Subscribe here! About the Perks: Fabletics is a super-popular source for figure-loving fitness and athleisure apparel, and with their BeneFits Rewards Program, you can earn points towards discounts on orders, accessories, and clothing, too! All you have to do is shop, review products, or earn bonus points during the occasional special promotion. As you accumulate points, you’ll unlock additional benefits, like birthday gifts, exclusive partner discounts, magazine subscriptions, and more. Check out our Fabletics reviews or read this Fabletics info to subscribe. Ships to US. The Cost: $18.00 per month. Subscribe here! COUPON: Use coupon code MSAPETIT to save 25% off of your first box! “Offers points for members, when you submit reviews, earn vouchers for discounts on future orders.” – Raquel S.
About the Perks: Fans of cruelty-free, plant-based cosmetics and skincare will swoon for this elegantly packaged, thoughtfully curated, and personalized beauty box. And by rating and reviewing the items in your Petit Vour subscription boxes, members can earn points to redeem for special discounts! Check out our Petit Vour reviews or read this Petit Vour info to subscribe. Ships worldwide. About the Perks: This quarterly box from celeb stylist Rachel Zoe gives you access to chic new beauty products and accessories each season. Take advantage of their refer-a-friend program to save $25 on future renewals and add-ons, and enjoy seriously awesome loyalty perks once you’ve subscribed for over a year! About the Perks: This beauty box brings the fun of Allure Magazine to your doorstep! Allure Beauty Box treats its long-time subscribers right, with bonus surprises like accessories and special beauty gifts. They also have a great referral program—for every referral, you’ll earn extra samples from top-notch brands like Sunday Riley! The Cost: $79/month plus $6.95 shipping. Subscribe here! COUPON: Save $20 off the Guru Box for the lifetime of your subscription! No coupon required—just use this link! About the Perks: When you refer a friend to this fitness apparel subscription, you get $10 off and so does your friend! You can keep referring friends until you’ve shaved your monthly box cost to $19—that’s three premium fitness pieces from high-quality brands for under $20. You’ll also start earning Lotus Bucks with your membership, which you can put towards perks like free shipping! Check out our YogaClub reviews or read this YogaClub info to subscribe. Ships to US and Canada. “They offer monthly drawings for special gifts.” – Cindy D.
About the Perks: Filled with faith-based gifts and self-care surprises, Loved + Blessed is a fantastic, feel-good way to treat yourself each month. Members get special deals and offers, plus access to the Loved + Blessed Facebook group. Check out our Loved + Blessed reviews or read this Loved + Blessed info to subscribe. Ships to US. The Cost: $159 per quarter. Subscribe here! About the Perks: The longer you subscribe to Breo Box, the less it costs each season! That means you can get their thoughtfully curated assortments of gadgets, home goods, kitchen tools, wellness products, and other top-quality items for up to $30 off! Check out our Breo Box reviews or read this Breo Box info to subscribe. Ships worldwide. The Cost: Styling is free! Only pay for what you keep. Subscribe here! About the Perks: kidpik has a great refer-a-friend program that lets you earn $20 to use on your next box while also giving your loved ones $20 to use on their first kidpik order! kidpik is already a super convenient way to shop for trend-savvy, fun girls’ clothing—use the refer-a-friend program, and you’ll get a great deal, too! Check out our kidpik reviews or read this kidpik info to subscribe. Ships to US.